Product categories of Mooring Tails, we are specialized manufacturers from China, Mooring Tails, Ship Rope suppliers/factory, wholesale high-quality products of Boat Mooring Lines R & D and manufacturing, we have the perfect after-sales service and technical support. Look forward to your cooperation! Product Category: mooring tail is a special length rope that introduces elasticity in high modulus (low stretch) mooring and traction to provide safer operation. 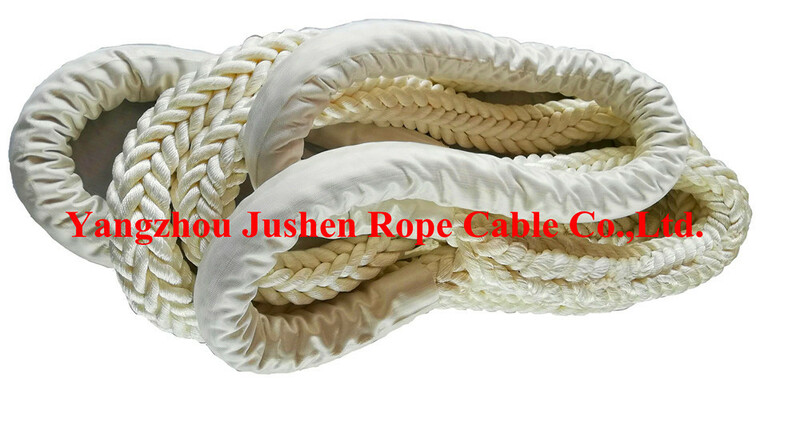 Its main purpose is to provide elasticity in low tensile wire (high modulus Synthetic Rope or wire rope), thereby reducing peak load and prolonging service life. Very suitable for mooring STS and traction operations. The mooring tail is constructed in accordance with the latest OCIMF regulations and recommendations for safe mooring of tankers, liquefied natural gas and liquefied petroleum gas (LPG) tankers. It also applies to cruise ships, bulk carriers and container ships. 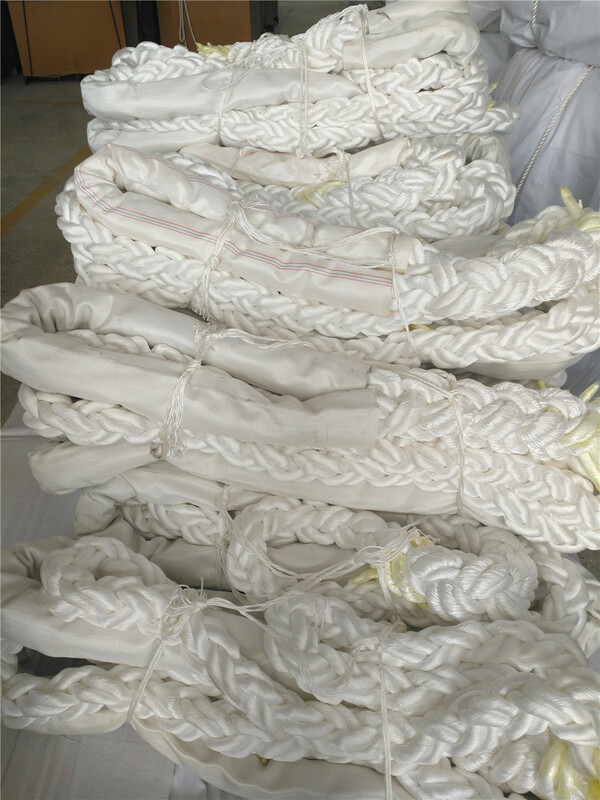 The mooring tail produced by our company has 8- strand nylon mooring tail, polyester/nylon double braided mooring tail, 8-strand polyester/polypropylene mooring tail, variety, specifications complete, but also according to customer requirements processing production. our company is China R & D production mooring tail one of the larger manufacturers, looking forward to your cooperation!